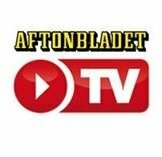 News TV Channel / Aftonbladet is a Swedish tabloid founded by Lars Johan Hierta in 1830 during the modernization of Sweden. It is one of the larger daily newspapers in the Nordic countries. Aftonbladet is owned by the Swedish Trade Union Confederation (LO) and Norwegian media group Schibsted, and its editorial page describes it as an "independent social-democratic newspaper". In 2006 the paper had 1,425,000 daily readers (Orvesto research 2005:2), circa 15% of the Swedish population.